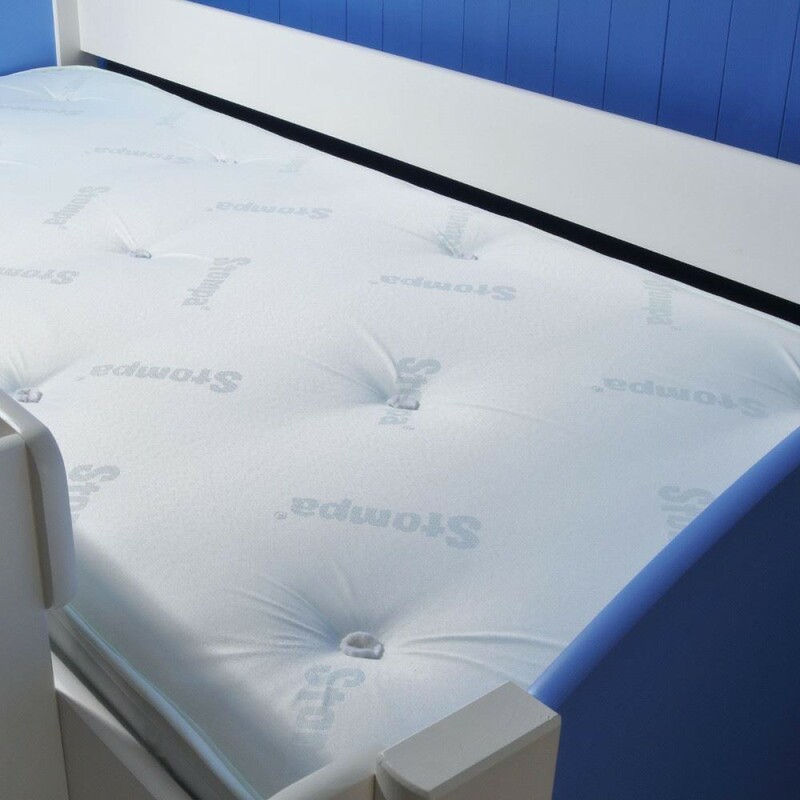 The Superior Pocket Spring Mattress from Stompa is the perfect choice for teenagers sleeping in continental single sized bed frames. The mattress measures 200 x 90 and will not fit standard UK single bed frames. This mattress meets all the requirements of bunk beds, mid sleepers and high sleepers as its depth is below 16 cm. You can rest assured that your loved ones will be safe while sleeping. Not only will they be safe, they will also have a great night’s sleep as the pocket springs will react independently as your son or daughter moves on the bed. The cover is made from a child friendly cotton blend cover and will feel soft and luxurious as your child sleeps. The mattress is fitted with handles for easy turning and there are also ventilators on each side which allows the mattress to breathe and stay fresh and clean. This mattress is designed for use by children and the firmness rating that this mattress has is based on that of a child. The mattress come ready to use and do not require un-rolling, so you can be sure that from day one your child will sleep soundly. Please double check your bed measurements to make sure this is the right mattress for your bed frame.